A device which stimulates the bone remodeling process to speed treatment. Bone remodeling is the process of teeth moving through bone. Force applied to the teeth cause bone cells to mobilize around the root of the tooth in the periodontal ligament. This cellular response causes changes in the bone which allows movement. 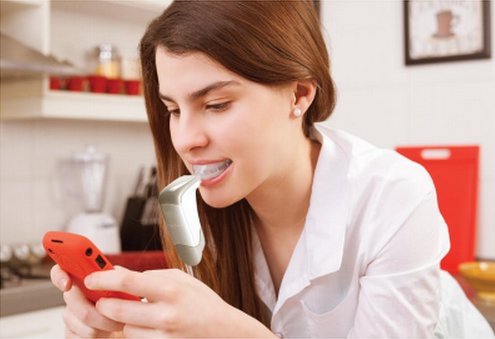 AcceleDent releases pulses that transmit through the roots of your teeth and the surrounding bone socket. Small vibrations called micropulses gently accelerate the movement.